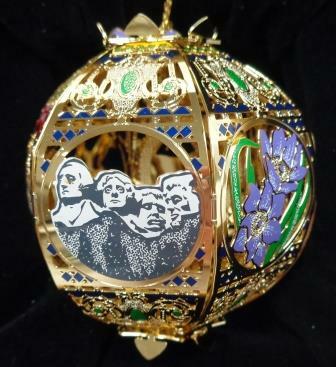 This six sided ornament represents South Dakota. The sides include: a buffalo, Mt. Rushmore, the Capitol, the state flower - Pasque, the State seal and the state bird - Ring-neck pheasant.